Art Penson was born and raised in Creston, British Columbia, and is now based in Ottawa. He became interested in theatrical design after joining the drama club at university where he was studying to be an art and music historian. He worked with the Bastion Theatre in Victoria and later went to the Kootenay School of Art in Nelson, BC. At Kootenay he won a scholarship to continue his studies at the Pasadena Playhouse in California. Penson's relationship with Neptune goes back to the 1970s. He met his wife Barbara Howatt there and served as Head of Props in the 1971/1972 season before earning a Canada Council grant allowing him to study theatre in England for three years. Recently he has been a regular designer for Neptune under the artistic directorship of Ron Ulrich. He has designed costumes, sets, props, and furniture for productions of Jesus Christ Superstar, Chicago, Best Little Whorehouse in Texas, and The Rocky Horror Picture Show. His costume designs for this latter production won a Merritt Award in 2004. 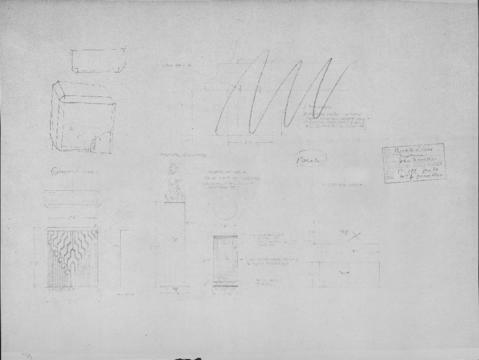 For other set designs by Art Penson, see the Art Penson fonds (MS-3-38). See the production records for this play in the Neptune Theatre fonds (MS-3-1) under the series "Production records," subseries "Private Lives."